Since the beginning of 2014 i have been looking for a car to replace my daily 740. Due to some tax changes i knew that from 2014 it would be wiser to start driving something newer. Also my job sort of requires me to drive something other then a rusted and dented 700 series. Though somehow i don't want to leave the Volvo's and while looking i ran into a real nice looking S90 on LPG. 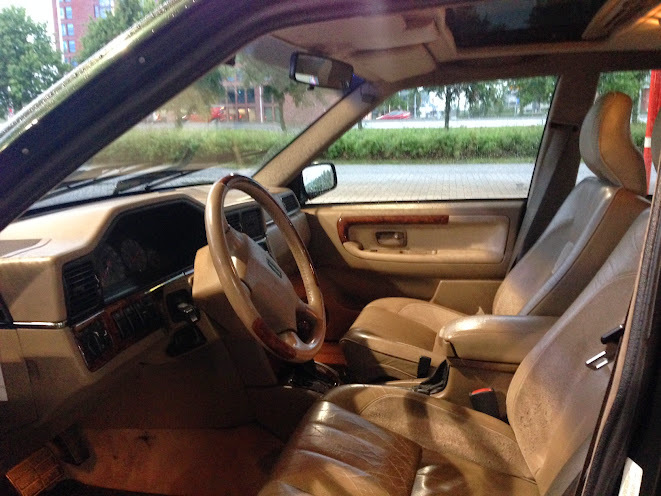 This car is in good shape for 16 years old only the interior could use a clean up. I got bills with it from the last 4 years that show a investment of over 10K that includes a rebuild of the engine 2 years ago. It has the 3 liter engine and all the options i want, even a option i usually don't care for. working A/C. Also got this neat radio with bluetooth and carkit that i should have gotten long ago..
All in all a nice DD car to show up at work with and do the normal driving kilometers with. Last edited by Mr.Borrie; 05-30-2014 at 01:45 PM.. Very nice cruiser Mr. Borrie! i loooovve the 3.0L S and V90s.. my dad used to have one and it is just a dream to drive. Last weekend i replaced the leaking clamp on the S90. First time i had it with the wheels of the floor. God this car looks so clean even from the underside. The bellypan plate still has the Volvo sticker on it. Dont think i ever seen one thats not broken before. I did found this odd suspension bar/brace that looks to be after market? the welds are not perfect on it. Could be a re weld and OEM but never saw one on my 960's i have had before. Greenish looking color right? Does it have a tan interior? 'Cause that's the most 'grampa' colorcombo you could have, yet it's the most awesome as well. FYI that lower chassis brace under the transmission is factory. All 1995+ 960/S/V90s have them. Ooooooo, I think I've only ever seen one other S90 with the tan S90 SE seats. Congrats. Few weeks ago i took the S90 on a trip trough europe with the destiantion set for italy, Rome.. Center of Rome that is! We drove from the Netherlands trough Germany into switserland where we stayed for the night spend the morning walking around then proceeded trough italy where we stayed another night in a huge mention and gravel driveway. The next day we drove into Rome where i seemed like a fish in the water with high tempered italians on the road. I loved it! Saw a whole bunch of things and took the S90 to the beach somewhere in the middle and after 8 days we drove back. This is what S90’s are made for.. the MPG was great and the ride was sublime.. Perfect, perfect DD device. I've been enamored with the prospect of a 960/v90 myself for the same reasons, it's the perfect daily driver volvo. It's a shame we don't have manuals here. I really like the color! It might not be the most exiting read but yes this is a great DD car and i just like to keep a record on what i do on a car even if its just my DD. I can really recommend the late model 960/S90/V90 cars. I went to a Volvo fair and found some used but still nice thick floor mats. 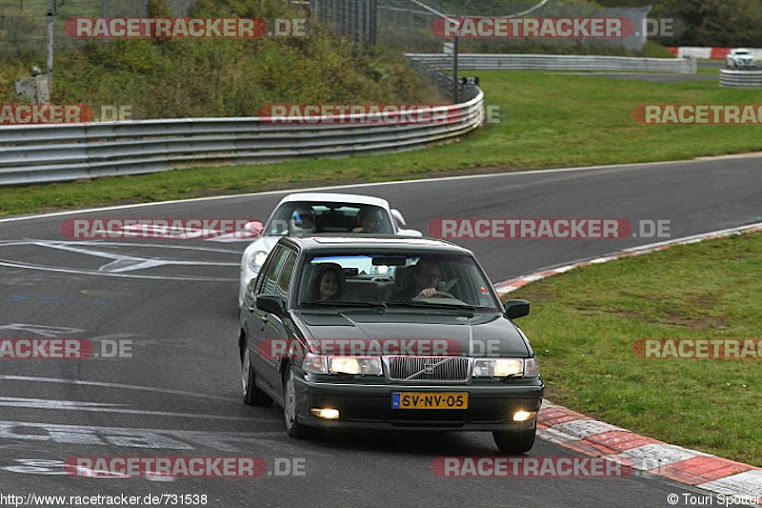 Had to run in the new pads, where better than at the Nurburgring? Last edited by Mr.Borrie; 10-29-2014 at 01:34 PM..
Haha that's awesome man! I would go broke if I lived near the Nurburgring. That's all I would ever do.... ever. Its a 5 hour drive for me so not completely around the corner. But when i do go its fun! I did only one lap because you don't have the power from the automatic when you need it, when it does deliver power you almost end up in the wall. Put the winter wheels on, just in time too.. getting cold here!